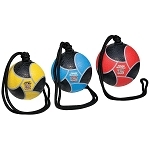 Med Ball Tree - Holds up to 5 weighted balls. Store up to 11 in diameter balls on any tier. Vertical design uses minimal floor space. 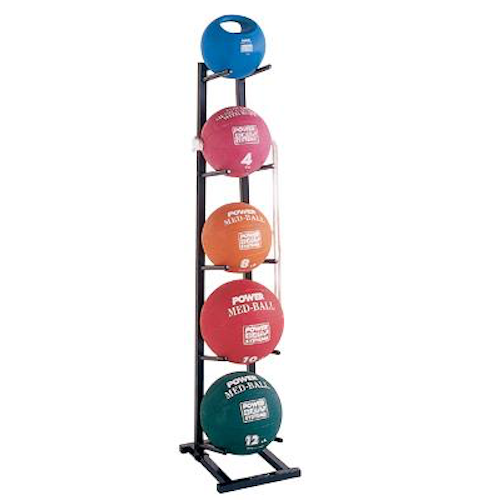 Medicine Ball Holder can store up to 11" diameter balls on any tier. Dimensions: 14" L x 11" W x 52" H. Wt. 18 lbs. Competitive Edge Products is an authorized reseller of Power Systems Ball Tree Exercise Equipment Storage. 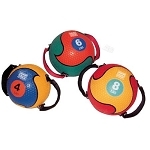 Q: Do you have a medicine ball rack that is vertical and will hold 5 medicine balls that are 14" diameter each? A: This is the only ball tree we have I am sorry to say. Fast Shipping: Orders for the Power Systems BallTree generally leave the warehouse within 1-2 business days. Dimensions: 52" x 14" x 11"